Kombucha contains beneficial bacteria and yeasts, making it the perfect candidate for creating a sourdough starter that you can use for bread & more. Every week when I brew kombucha I have a ton of yucky yeasties in the bottom of each of my vessels – and while I know it’s actually good bacteria working hard, it’s very cloudy and stringy. It’s actually not all that yucky though, it looks worse than it is. But every week I hated to throw it out, and I really didn’t want to carry the sludge to the next week. In the past, we have used milk kefir to make sourdough bread, and it worked relatively easy – there has to be a way to use kombucha to make sourdough too. Right?! Kombucha is the perfect candidate of bacteria and yeasts to make a sourdough starter. Not to mention, the sludge is full of yeasties that are perfect for making bread. So I figured I would give it a try. So instead of tossing that sludge, I used it to make a starter. The cloudier your sludge from the bottom of the kombucha vessel, the better – just set it aside and you’ll find that this is a wonderful way to make your next loaf – as an added bonus, making starter from this cloudy kombucha is actually much easier and faster than making traditional sourdough starter that you would have to feed daily for almost a week. Kombucha is a symbiotic culture of bacteria and yeast (or, as we most commonly know it as SCOBY). The yeasts (which some are used in baking and brewing) ferment the sugar into alcohol in which the bacteria are converted into acetic and gluconic acid. 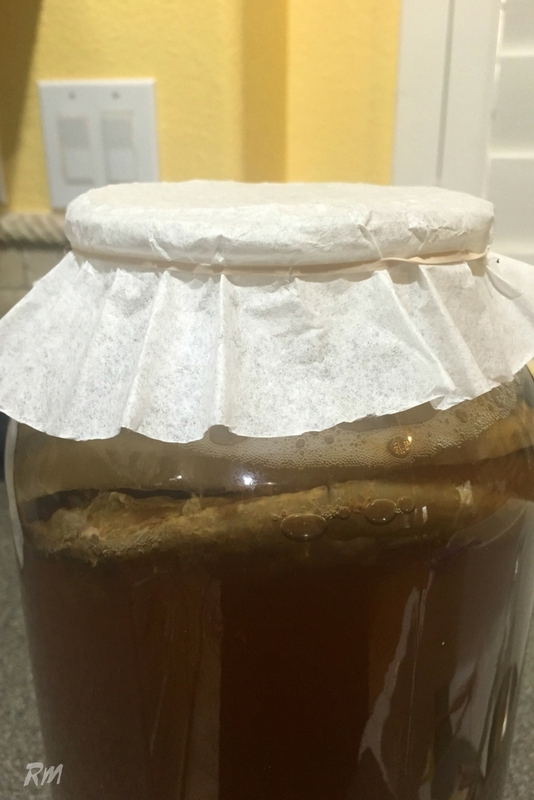 We use our SCOBY most commonly to make kombucha – which is a sweet tea that has been fermented, and has a wide range of health benefits. My kids have dubbed the SCOBY their “scary alien” but it’s really not all that scary at all. It’s more gross looking than anything. Keep in mind that the probiotics in the SCOBY help foster healthy bacteria in your stomach lining and digestive tracts. Making this kombucha sourdough starter is relatively easy. Set aside equal parts of kombucha and flour and mix in a wide mouth jar. Stir well with a non-reactive spoon, and cover loosely with a cheesecloth or coffee filter. For the flour, use your favorite variety – organic unbleached all purpose, or rye, a mix of spelt and rye, or even a gluten-free variety. Leave sit in a warm place. In the morning, the mixture should be nice and bubbly, and some of the liquid may have begun to separate from the flour. In 12 hours, repeat the feeding with equal parts kombucha and flour. Check on the starter every 12 hours for activity. Feed with equal parts water/kombucha and flour. By day 2 (late in the day) or early on day 3, there should be enough yeast now to make your bread. Give it a good stir and redistribute the separated liquid and move forward. When is the starter ready? Bubbles on the surface don’t always indicate that the starter is ready. 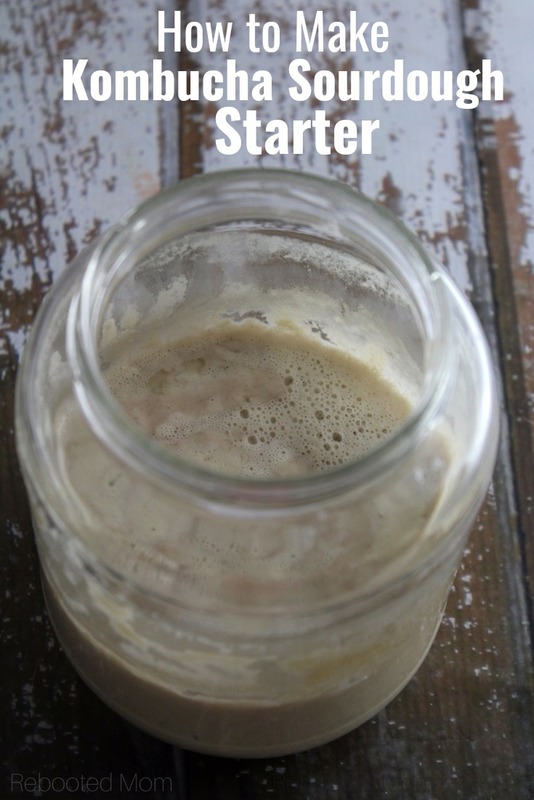 Once you feed the starter, it can bubble just from the activity of you adding and stirring. I have found that the best way to check my starter before making bread is to fill a cup with water at room temp. Then add a spoon or so of the starter to the glass. If the starter floats, it’s active and ready. If it sinks.. then feed again and allow to sit 4-5 hours before checking again. If your starter is not ready, you may have to feed your starter again and wait an additional 12 hours. To feed again, give it equal parts of water/kombucha sludge and flour. Then, give it a good stir with a non-reactive spoon. A strong, healthy starter with lots of bubbles will make a wonderful fluffy bread. So if you don’t feel as if it’s ready yet, give it a few days. You want to see active bubbles on the top of your starter. If you are unsure, then do the water test. In a large jar or glass bowl, combine the kombucha and flour and stir well to combine. Loosely cover with cheesecloth or a tea towel. Place in a warm area of your home for 12 hours. After 12 hours, add equal parts kombucha and flour (or, part kombucha & water and flour.). Stir well and loosely cover. Allow to sit 12 hours. Repeat feeding every 12 hours or until starter is ready. Use it immediately in sourdough recipes that call for starter. Or, continue to feed it with equal parts of kombucha and flour once daily until strong and bubbly on the surface. !Feeding your starter makes for a stronger starter that will be more healthier and result in fluffier bread. 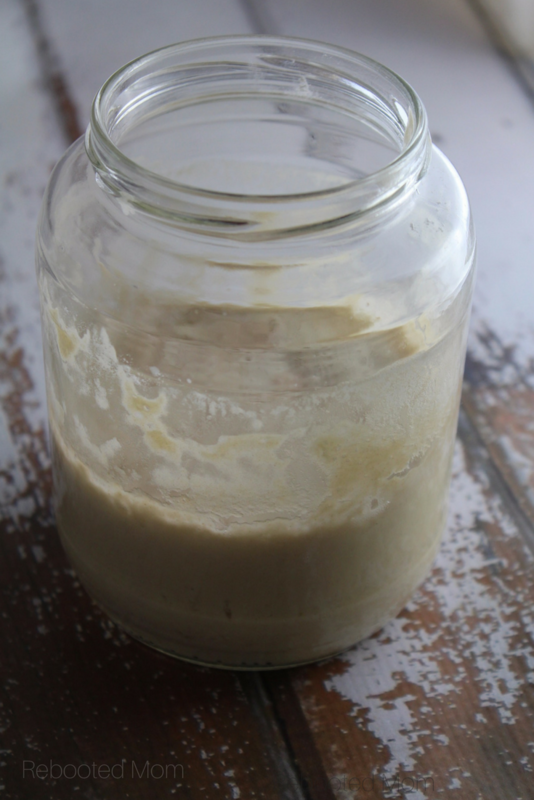 To feed your starter, combine equal parts of sourdough starter, kombucha dredge and flour and mix well, once per day. !If you can't feed your starter daily, you can take a break and keep it in the fridge and feed it once each week. !To use sourdough starter after it has been refrigerated, remove from the fridge to a warm place (countertop) and feed every 24 hours. 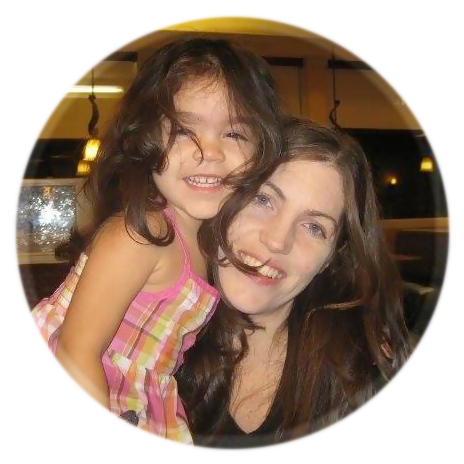 Share the post "How to Make Kombucha Sourdough Starter"